5. Rick Majerus Coaching Clinic– This is 100 pages from one of the greatest basketball minds in collegiate coaching. Now at <?xml:namespace prefix = st1 ns = "urn:schemas-microsoft-com:office:smarttags" />St. Louis, Coach Majerus has always been a master at preparation and motion offense. He shows all of the variations and reads you need to teach players to be better at the motion game. He also includes many notes and insights on teaching man to man defense. There is nothing he does not cover in this 100 page set of notes and the only reason it is not higher on the list is because the notes are not typed. They are written neatly and have too many set plays and counters to discuss. Check this set of notes out while you have time and learn from one of the best. 4. Nike Clinic Notes May 2005 – This is over 40 pages from many different coaches including Gary Williams talking about his full court press and Dave Odom speaking about how to handle pressure. It offers many different sets of typed notes followed by extensive diagrams. 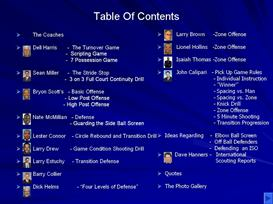 This is a great set of notes and just one of the 6 sets of Nike Clinic Notes included in the DVD. 3. Double Pump Clinic Notes – This is a set of notes from speakers such as Tom Crean, George Karl, Karl Hobbs, and Dave Odom at the Double Pump Clinic. At over 31 pages of typed notes, this is a great addition to any library and covers a multitude of topics from the latest trends in the NBA, to recruiting, to preparing players for the NBA. 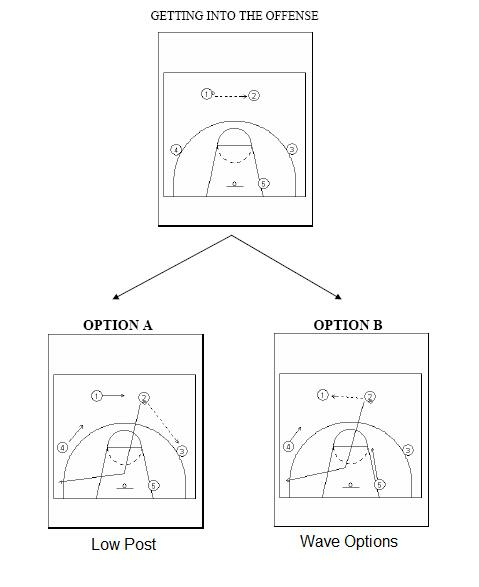 Also included are zone attacks and philosophies of play from winning coaches. 2. 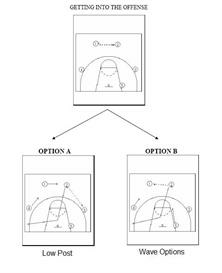 Don Meyer “Building a Program” Clinic – This is 60 pages of thoughtfulness and program development ideas from one of the greatest basketball minds in the business. Check out his webpage at www.coachmeyer.com for more updates and ideas about his philosophy of coaching. He also includes philosophy of play and ideas on practice planning. He has won at every level and is already inducted into the NAIA hall of fame for his contributions. He has a popular video collection available of about 21 different videos that cover every aspect of a program. 1. 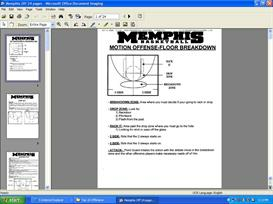 Memphis 2nd Annual Coaches’ Clinic – This is 137 pages of everything from general basketball thoughts, to zone attack, to defensive buildups, to sideouts/underouts, and everything in between. This is the one set of notes that you will take something from guaranteed. That is why it is the best of this set of notes and features NBA coaches such as Larry Brown, Jerry West, Alvin Gentry, Jerry Lucas, and Jeff Van Gundy. We also included some information on the dribble drive motion offense from our set of notes on that offense. It is only a small part of the total set we have to offer on the Dribble Drive Motion.